Steady tempo pieces with long length for floor combinations, across the floor & improvisation. Earl Spencer: Surdo, Dumbek, Udu, Conga solo (Here We Come), Lead Drum (D Train to Prospect Park), Agogo Bell. Eldio Rolim: Repique, Pandeiro, Birimbau, Agogo Bell, Surdo and Nut Clave (Nights in Brazil), Lead Drum (Meet me at Lezly's), Pandeiro, Conga, Caxixi, Dundun, Songba. Excerpts of From Birth To The Earth are in MP3 format. 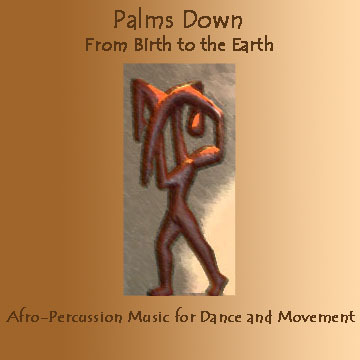 From Birth To The Earth is $20.00 for the Single CD.